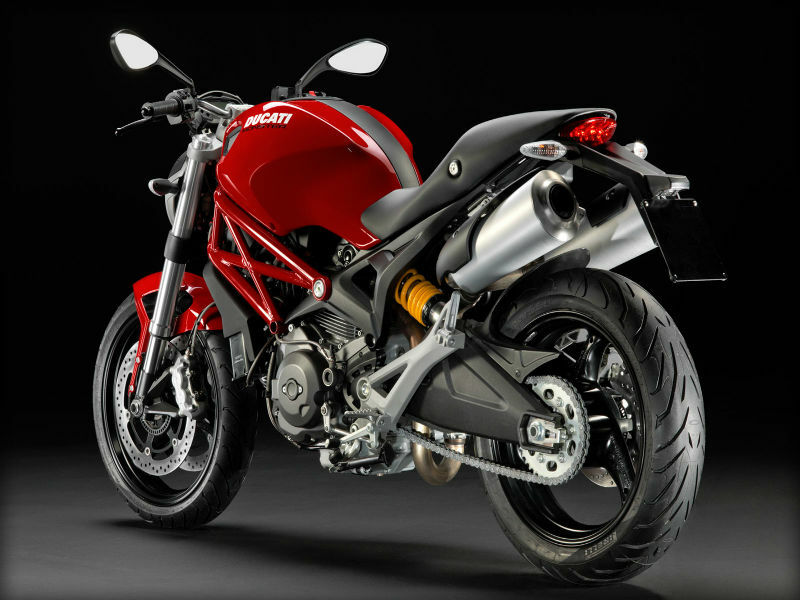 Ducati's Monster 795 has created a sensation among Indian customers because of its lower cost compared to other vehicles of the firm and the better quality along with all the latest technology. The sleek design of its fuel tank and stylishly bent handle bars give a hero look for the rider. Taking into consideration the price and other aspects the bike is neatly designed. Compromise in the money doesn't mean with the quality as it is well structured with the great chassis and braking system for the comfortable riding. 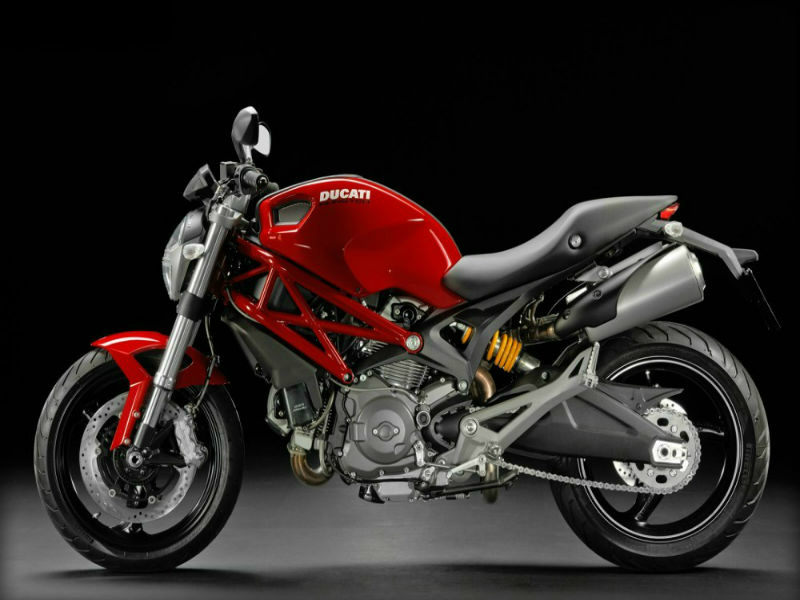 The aggressive, macho bike Ducati Monster 795 comes with powerful 803 cc, L twin, desmodromic, air cooled engine. Developed to give the incredible power delivery at various driving speed the engine serves as a wonder. The maximum power generated is about 87 Bhp at 8250 rpm and the peak torque achieved is 78 Nm at 6250 rpm. The power generated reaches its wheels through 6 speed transmission. This impressive Monster gives the speed of 95 kph in first gear, 138 kph in second gear and it increases with gear change. The evergreen design of Monster 795 is very much appreciated by bike lovers. The neatly built body, well positioned handle parts, attractive digital instrument panel, foot pegs and stylish mirrors serves as the major attraction. The eye-catching cast aluminium alloy wheels wearing the three lightweight spokes not only serves the looks but also manages the overall grip and smooth drive. Further the larger and broader wheel size, the lower seat, well designed exhaust, fancy headlamps and tails lamps are other noted features never to be missed out. With its overwhelming design and added comforts the bike surely serves as irresistible lovable monster. The striking neatly sculpted smart bike Ducati Monster 795 is valued for the jovial feel and satisfaction that it gives for every rider. The tapered fuel tank and improved steering lock serves as a major plus point for trouble free ride. The suspension system including the front Marzocchi 43mm upside-down forks and the rear double side swingarm are essential factors to guarantee jerk free, smooth driving. Further the efficient brakes used along with the advanced Brembo braking hardware works exceptionally improving the safety. Like any other Ducati vehicles this is also considered as fuel efficient bike but the exact mileage of it is not known. 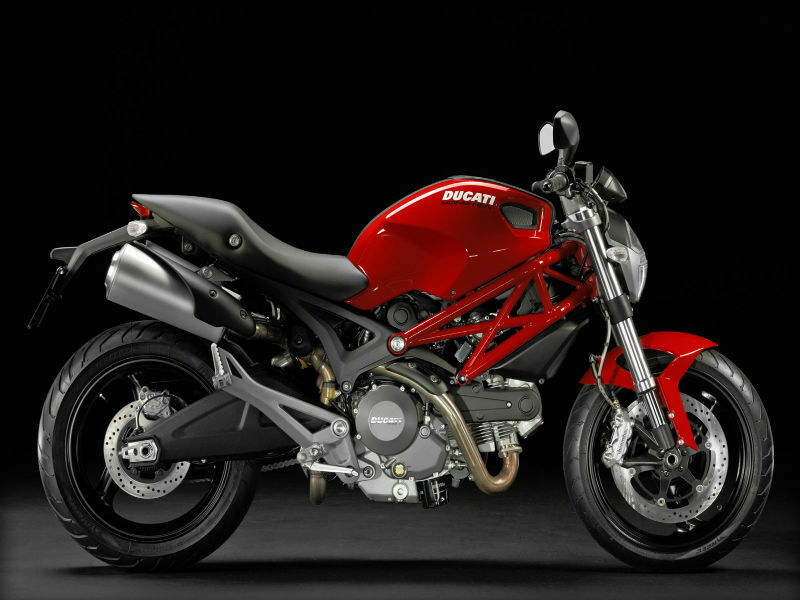 Ducati is attracting the crowd with its new Monster 795 which is available in Red color. The ex-showroom price of this bold and beautiful vehicle is about Rs. 6,09,745.